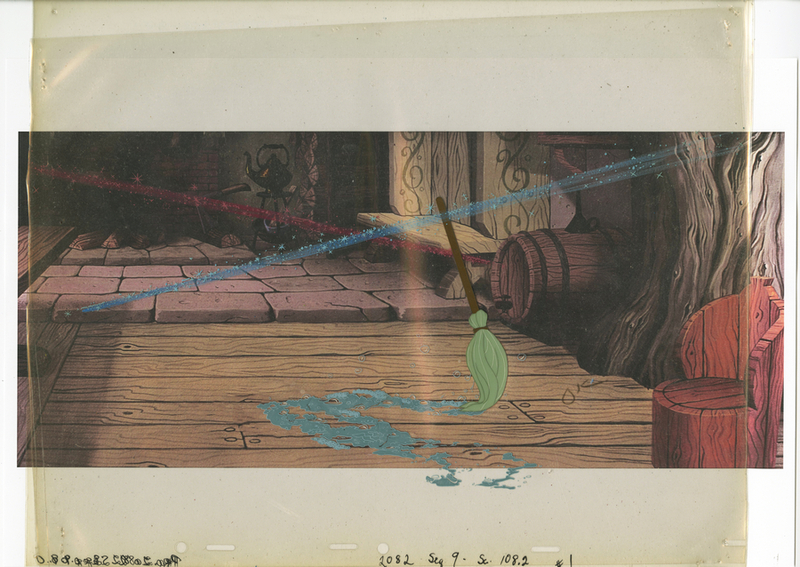 This is an original production cel set-up from the Walt Disney Studios production of Sleeping Beauty (1959). This hand-painted set-up features magic from Merryweather and Flora moving past the magically moving mop controlled by Merryweather. This is from the scene where Merryweather and Flora argue over the color of the ball gown and proceed to use their magic to change the dress color back and forth. The set-up has 6 cels, two creating Merryweathers magic, 2 creating Flora's magic, one for the mop, and one for the soapy water. The cels were created at the studio and used during the production of the film. The overall measurements of the slightly trimmed piece are about and the image itself measures 8" x 15". The cels are in very good condition with some paint loss to the bubbly water where the paint stuck to the layer below it. 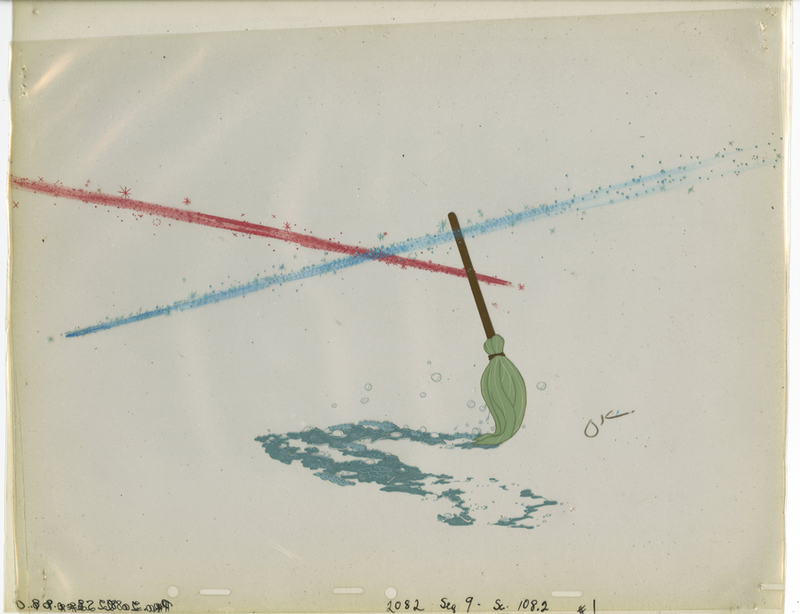 We have paired the cel with a color copy background from the scene of the mopping broom, and the final image shown is a reference screen grab image from the scene (it is not a physical print included with the artwork).